Happy New Year..~~ Looking back at 2011, it surely has been a very very busy year…. i have a bunch of work that’s not posted in my gallery here and there.. mostly private commissions and game works but here’s a sum of what’s in the previews up there and whatnot..
* january – worked on a commission for an anime project.. i wonder how’s this going since i only contributed art for character profiles for their presentation.. >v< was also working on illustrations for a school game project..
* april – so long toronto life, back to winnipeg life but i worked on love and war (rpg) cutscene sketches.. did a few rough sketches and finished the character profile pics before flying out to new jersey for vacation..
* may – back to toronto for grad then back to my relatives in new jersey coz im homeless in toronto.. lol.. i flew a lot during this month so there wasnt much time to draw but i had my mac so i was able to color an old pic to have some printed for anime north by the end of this month..
* june – flew back to new jersey for anime next.. worked on this during the week break but couldnt get it done in time for the convention.. worked on some commissions i got from the con and enjoyed my stay with my relatives before going back home to winnipeg..
* july – got commissioned for a game npc but up til now there’s no updates regarding that project.. XD more commissions to work on especially the commissions to be picked up in the local convention..
* august – more commissions… this one’s for an unexpected schoolmate.. i knew i saw her during the grad ceremony.. lol.. how small can the world be..? XD picked up in fanexpo.. last fly for the year..
* september – some more commissions.. trying to catch up with the easy sketch commission there but also tried to update my manga during this month..
* november – entry for anime angels artbook by maron media but it’s not clear that it’ll be accepted.. i hope.. also worked on some commissions and the last few cutscenes for love and war..
* december – had a break for about 3 weeks due to an operation but it didnt stop me from doing this illustration for an artbook.. too bad it wasnt accepted so it was like an effort wasted.. jk.. >v< eh, as u can see in my gallery, i posted a different version so it still turned out as something from something.. XD also worked on the illustration for the anime angels artbook and sketched up a few commissions while watching funny japanese shows.. >v<! 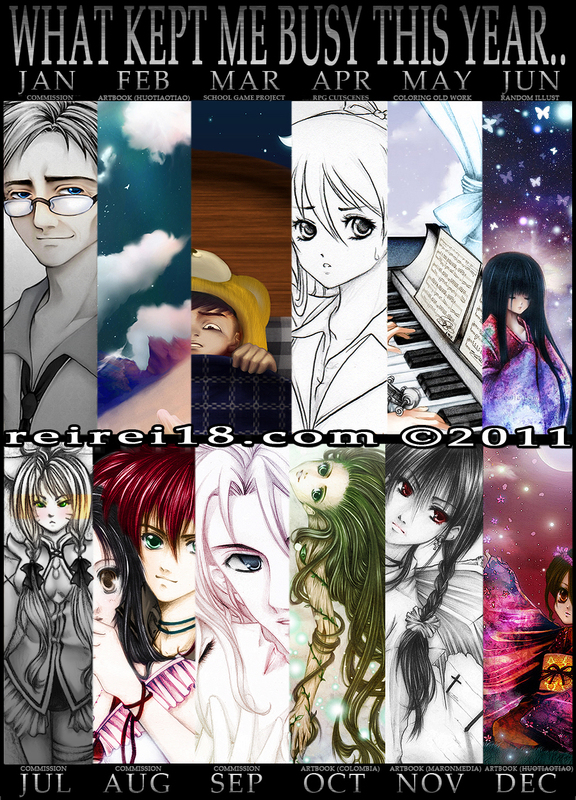 hard to pick a favorite.. either october or november..
most effort was definitely march..
whao….~ thank u for reading..